43100 Palm Royale Drive has a Walk Score of 49 out of 100. This location is a Car-Dependent neighborhood so most errands require a car. This location is in Palm Desert. Nearby parks include Indian Wells Tennis Garden and Adams Park. 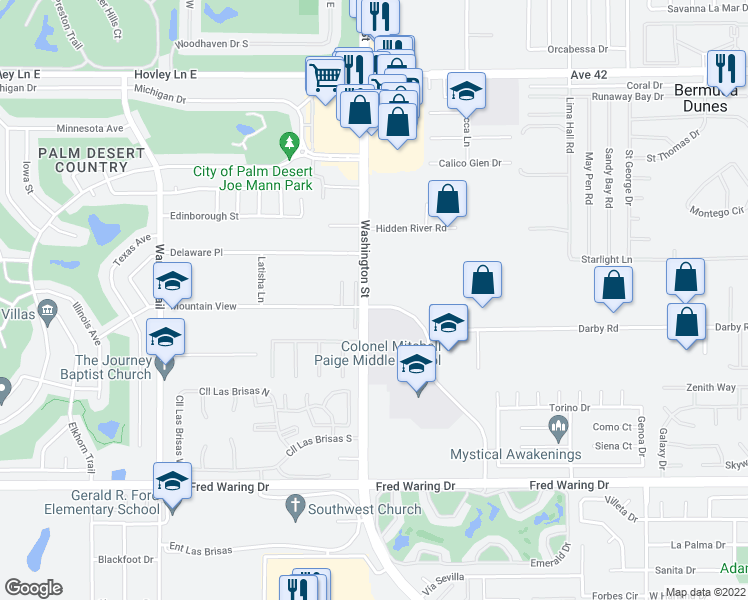 Explore how far you can travel by car, bus, bike and foot from 43100 Palm Royale Drive. This location is in the city of Palm Desert, CA. 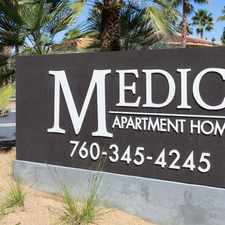 Palm Desert has an average Walk Score of 28 and has 48,445 residents. Palm Desert 3 bed plus den, 3 bath home! COMING SOON! Lovely PARTIALLY FURNISHED 4 Bedroom/ 3 Bath Home in Spanish Walk! JUST LISTED! This beautiful FURNISHED 2 Bedroom + Den / 3 bath condo in Woodhaven CC! Attractive 3 Bedroom at Sommerset in South Palm Desert! 3 Bedroom Home in Desert Trace! PALM ROYALE - Lovely upper 2 bed 2 bath with huge balcony and great views. $3100.00 seasonal/$1500 from May 1st on.